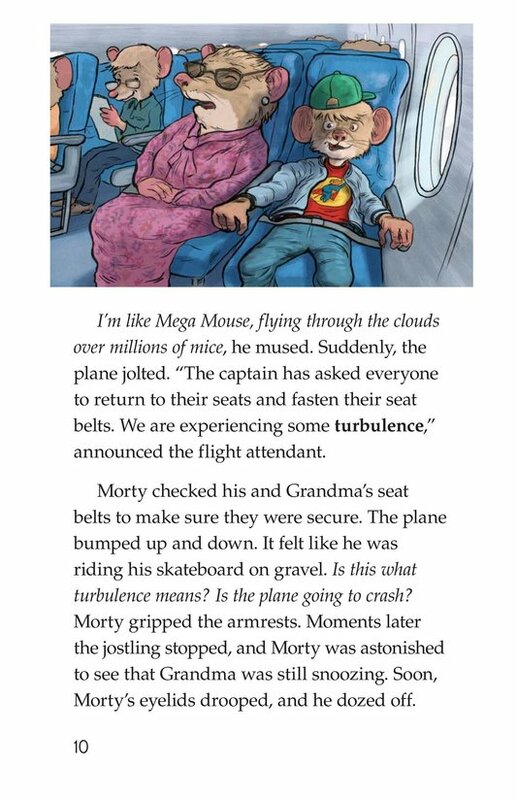 Fantasy (fiction) 1,272 words, Level T (Grade 3) Fiction Series. 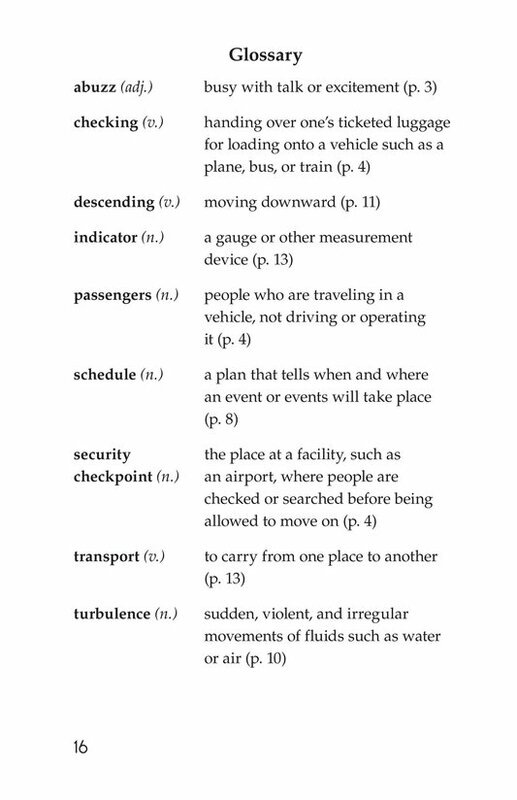 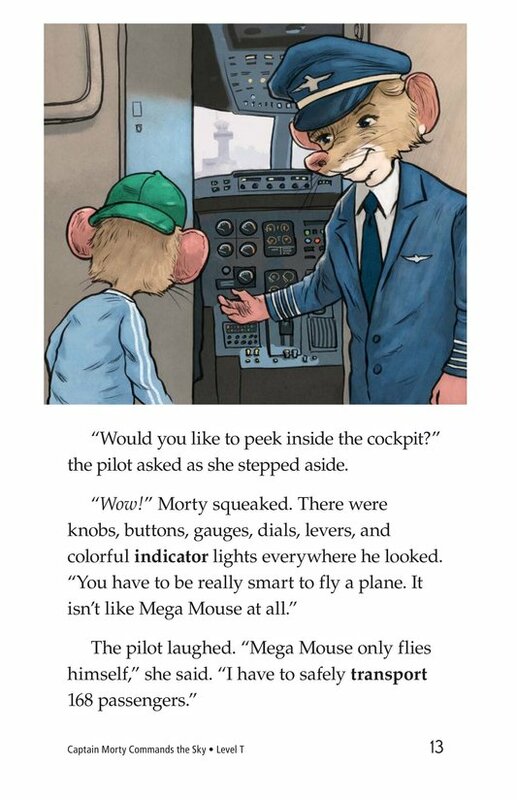 Going on an airplane for the first time can be an exciting and nerve-racking adventure, especially when you are in charge! 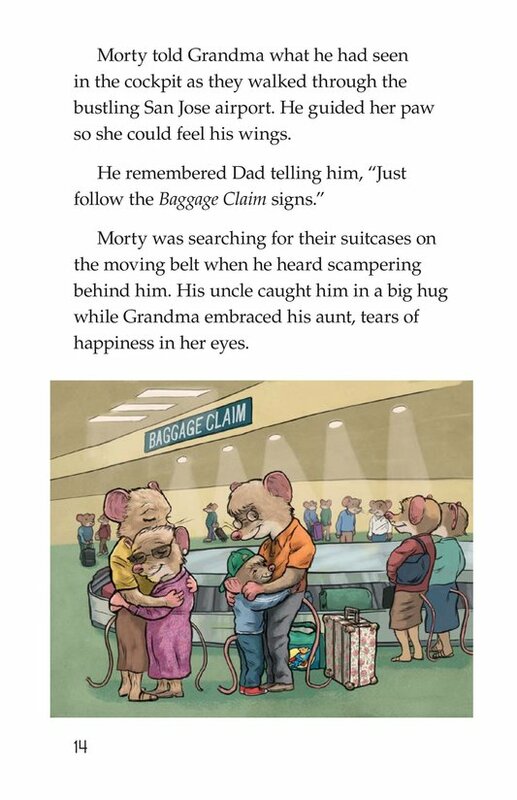 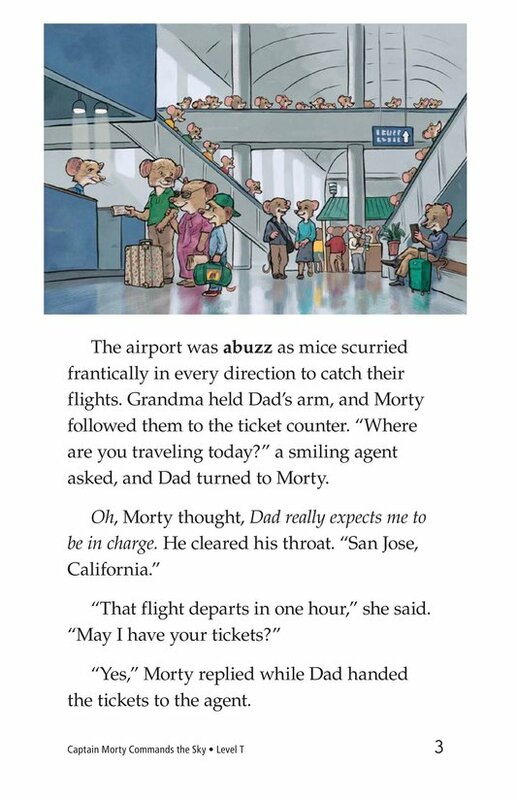 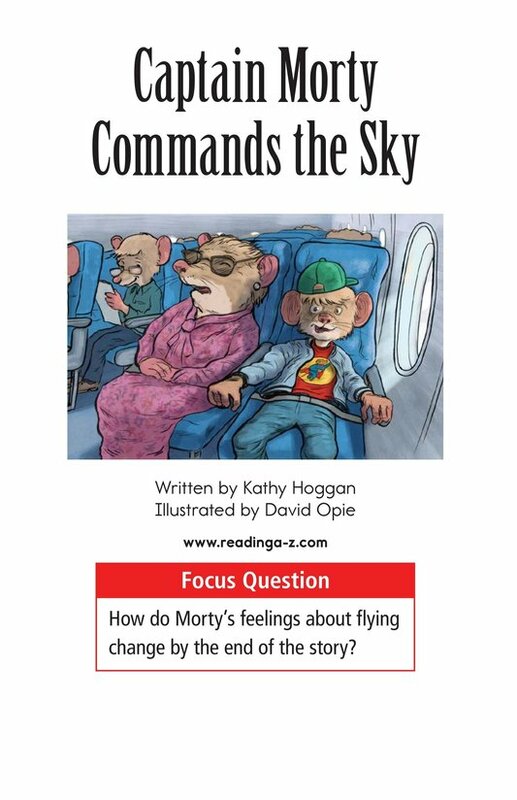 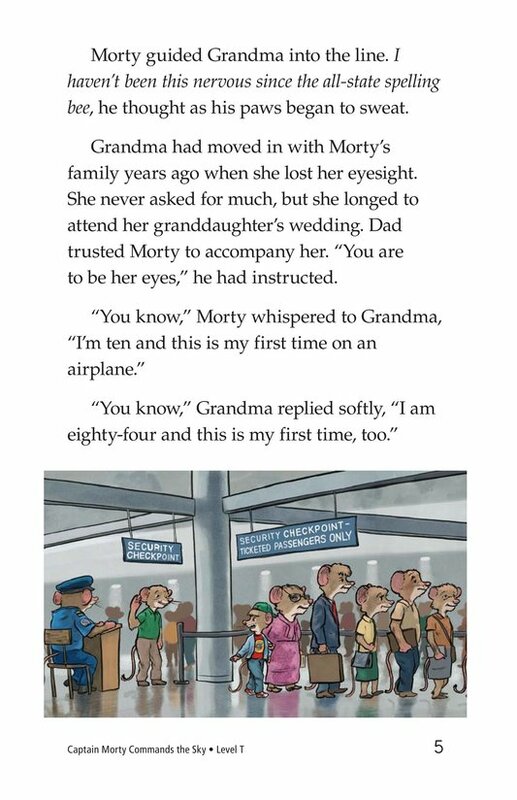 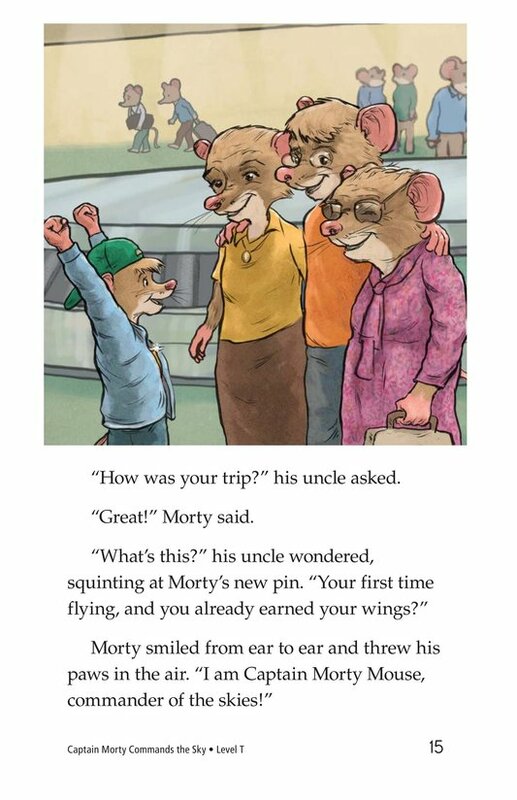 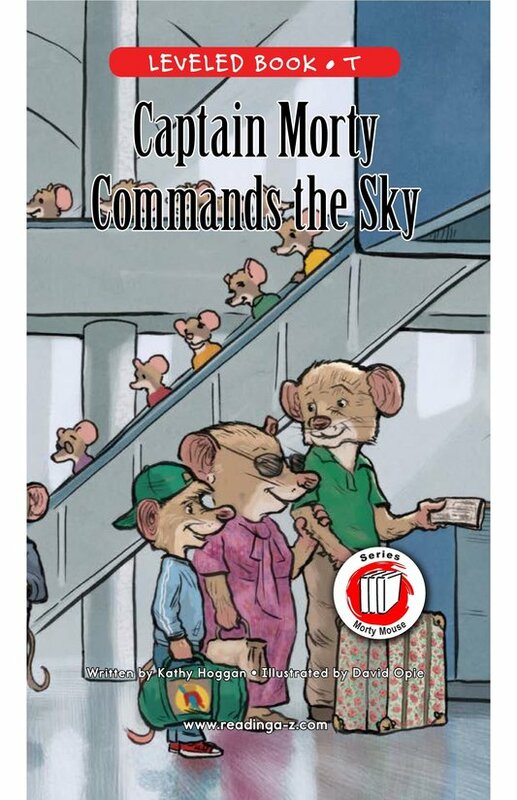 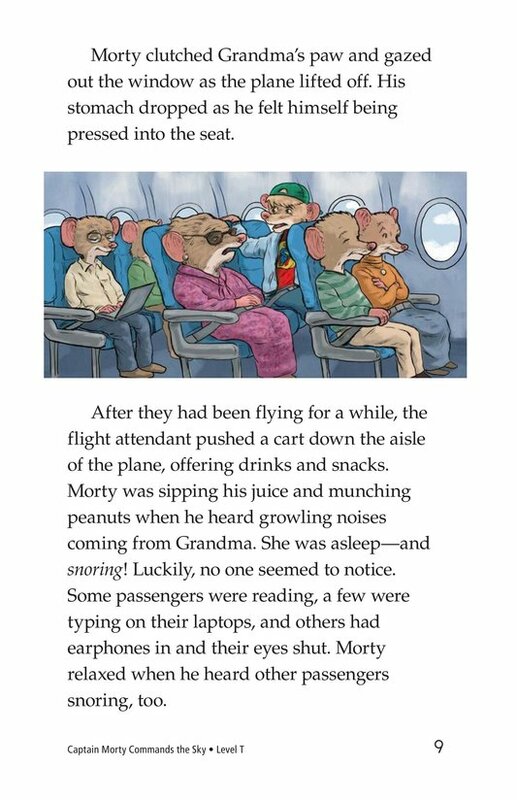 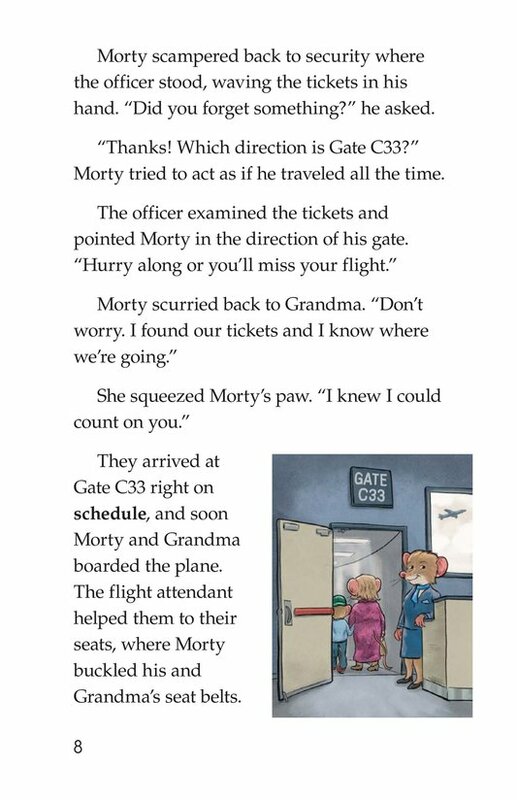 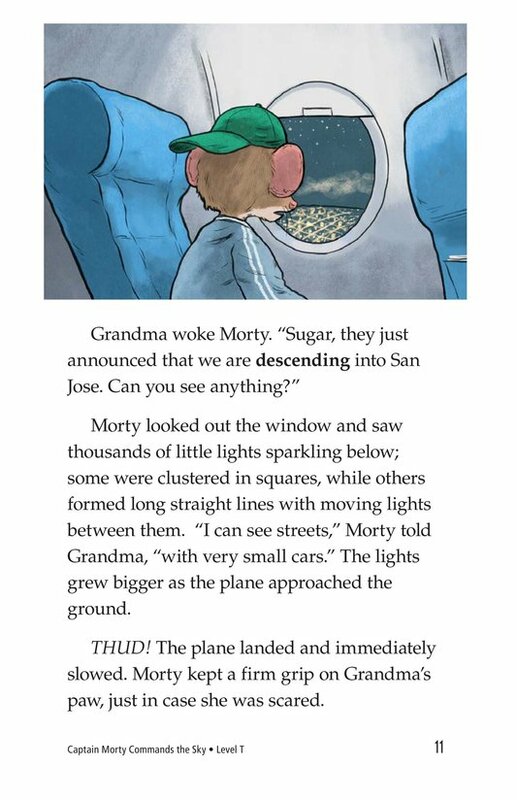 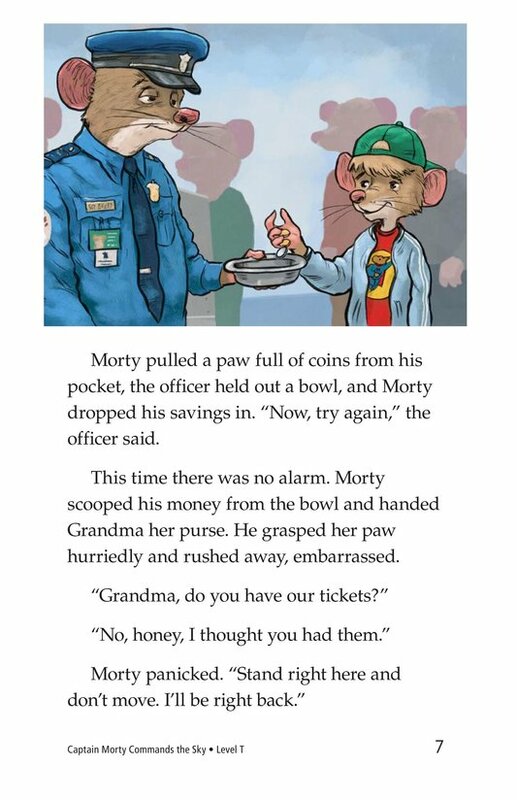 Follow Morty as he guides his blind grandmother through a day of travel in Captain Morty Commands the Sky. 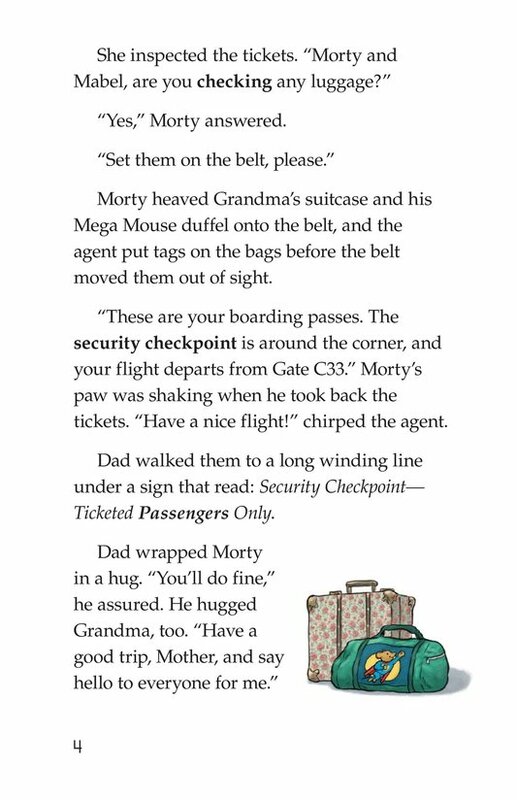 Will they make it to their destination, or will the responsibilities be too much for Morty to handle? 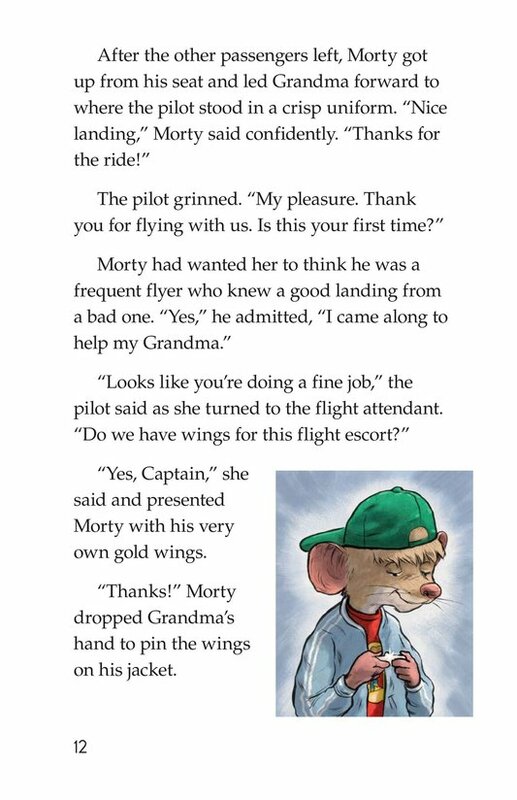 Rich character dialog and a relatable story will engage readers. 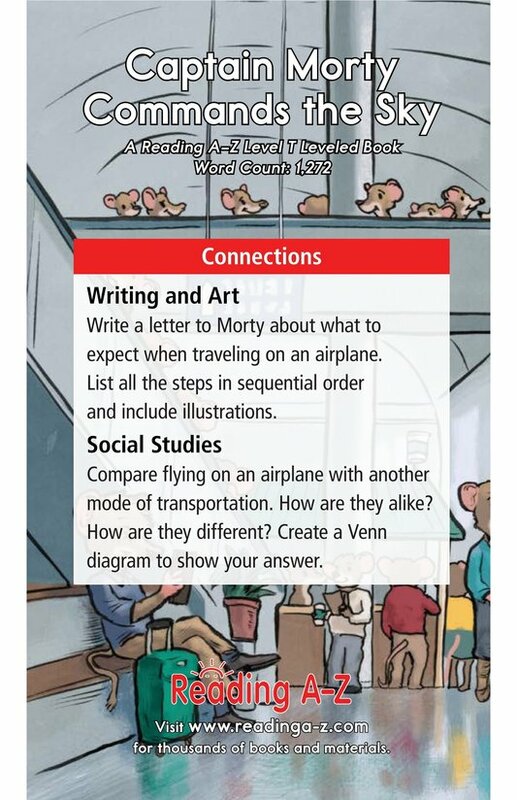 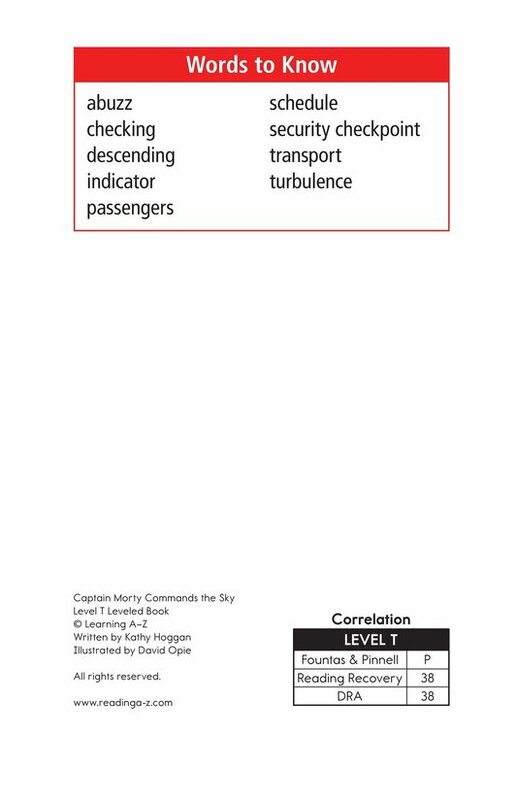 This book can be used to teach students how to identify character point of view and to recognize articles.